As I have mentioned before, I have a love/hate relationship with one Mr. Joe Nobody. When Sir Knight reads his books, I end up carrying a 25# pack on my daily hikes. When Mr. Nobody recommends gear, it ends up strapped to my 1st line gear. To be sure, these are good things, however, when my calves are screaming as I scramble up a hill out of the woods, due to the extra 25# I am carrying, you can be certain that I am mumbling something about Joe Nobody under my breath. And so, I present you with a product review written by none other than Joe Nobody himself. And if you were wondering, yes, this flashlight is now attached to Sir Knights first line gear (thanks a lot Joe!). Back in 2007, while kicking back with an Army Times magazine, I noticed an article that featured their choices for the best products of the year. One of the winners was a unique-looking flashlight, manufactured by Streamlight, and branded the Sidewinder (like the snake). I just had to have one and forked over $60 or so. It has been one of the best investments I’ve ever made. I purchased the light for tactical purposes, but I believe it to be one of the finest torches available for the prepper as well. The light is generated by LED bulbs, so battery life is good. My model also generates infrared, red and blue light. Red light doesn’t degrade the human eye’s natural night vision, which can be important for anyone trying to operate in low light conditions. The infrared bulb is used with my PVS-14 night vision monocle in extreme low light situations. Mine uses AA batteries, which are common with several other electronic devices in my kit. My Aimpoint optic, PVS-14 and laser rangefinder all use these same power cells. I have a small, roll-up solar battery charger that will recharge this size battery in a few hours on a sunny day. About the only drawback I can find with the Sidewinder is its brightness. It produces only a 20 lumen white light. While that has served me just fine in the field, I know some people like a little more juice. The IR bulb is a great additional to the night vision and won’t act like a big neon sign pointing back at you (unless the threat has night vision as well). 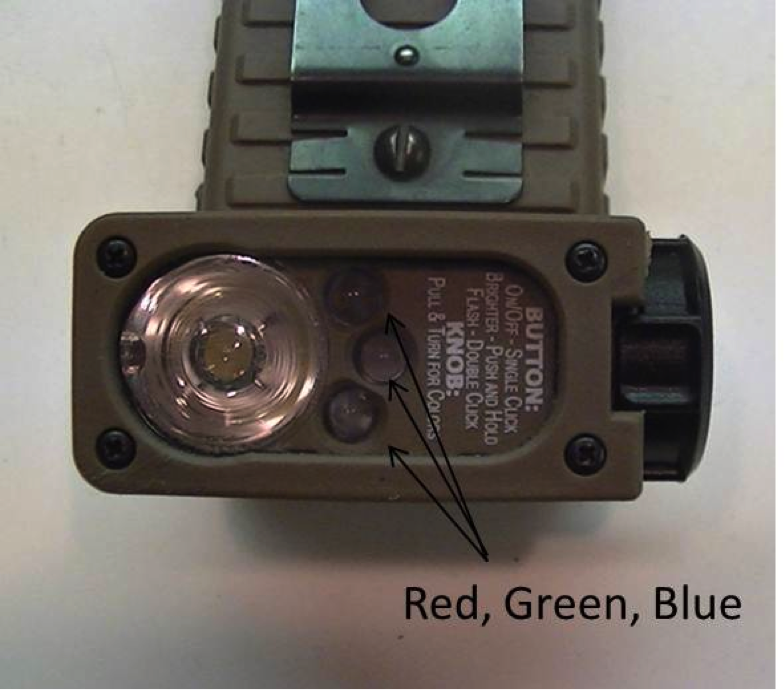 The blue light can be used to signal, and all of the colors can be set to strobe. Streamlight now makes a compact version of this same flashlight, and both models come in a variety of colors. You also have a few options for the different color output, like green. So the next time you need a good torch that serves multiple roles and is a rugged piece of kit, I don’t see how you can go wrong with Sidewinder. I gotta look into getting one of them stream lights. Yeah' I gotta curse Joe Nobody too. His books keep costing me good hard earned money. Yesterday, I gave up going to the range to shoot because the Dad of the twins next door called me. I asked if he wanted to go shoot and said he could not and he had "baby duty" and like a sap' I volunteered to help. Mom was out with some friends so for five hours I had twin time. I learned how to feed the girl and almost learned how to feed the boy with the bottle, but he has a burping problem and he's real fussy so Dad took over. Later the after the boy was changed (by Dad of course) The boy was crying and wanted to be held. He feel asleep in my arms for almost an hour and I almost feel asleep too. I have learned there is nothing more peaceful than a sleeping baby in your arms. Ms Gay: Are you familiar with any home-made teas? My family is Italian and I've recently learned that my parent's generation often made their own style of tea that involved dandelions and other common plants. Do you ever make a home-made tea? Do you have any advice or insights into this craft? I talked some other friends. 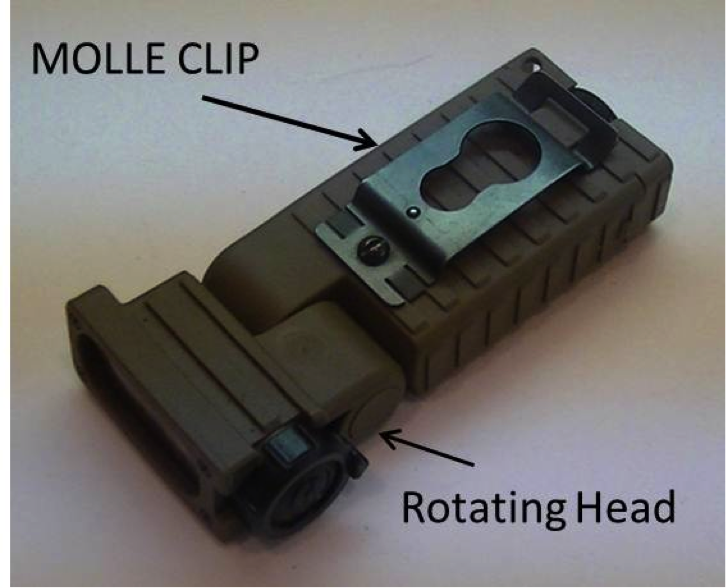 They all had really good things to say about the Streamlight products. On a serious prepper/survivalist note. I hear there that home brewed beer can be very (healthy in moderation) I think it may have some "curitive properties" like Eldberberry wine. Anybody have any opinions? Thanks for the review. Joe definitely has his act together. For those who can't pull the trigger on Joe's nifty little reco, Costco has absolutely a great deal on great flashlights. The sometimes go on sale for $5 off but not for some time. They come 3 to a blister pack, with 9 AA batteries and have 3 levels of lights. I think they were $20 a pack. Very bright light on high, good light on low and bright strobe. I'm very happy with mine, and I now have a bunch of these babies. I'll be sending these to relatives for Christmas as well. I feel good about recommending these. The following link is the same package on Amazon.com so you can all have a look at them. They cost more on Amazon though. Click on the pic to zoom so you can read the blister pack. There is also a most excellent review from a self claimed pro to read.